Barracas is big. It’s bulky. And this southern barrio has a reputation for being bad. But it’s one of my favorite areas of Buenos Aires. Hopefully this series of posts will dispel some of the misrepresentations about Barracas & encourage people to explore it. 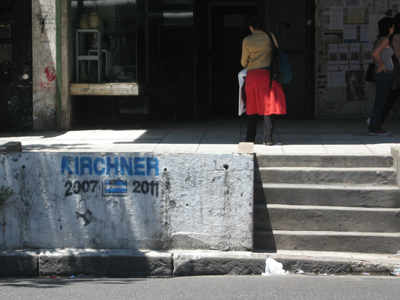 I walked just about every block in Barracas back in 2007 & recently returned to see what’s changed. Quite a bit. 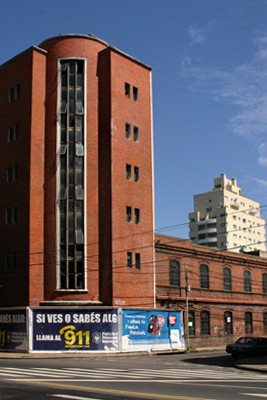 Slicing through the northwest corner of Barracas, Avenida Amancio Alcorta cuts diagonally through the city’s grid plan. Although the avenue itself is often congested with container traffic, northern blocks are residential. 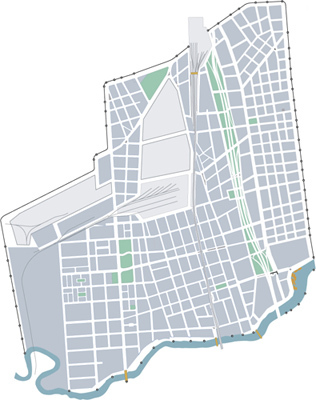 Its character resembles that of neighboring barrios Parque Patricios & Constitución more than Barracas itself. 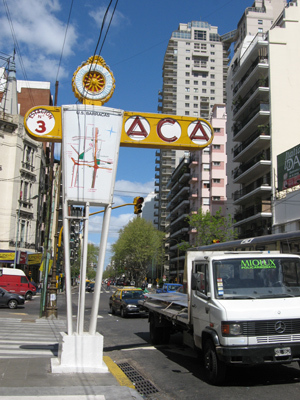 Avenida Regimiento de Patricios marks the western border of the neighborhood, separating Barracas from La Boca. Making a slow but steady drop toward the Riachuelo, reclaimed riverbank is easy to detect since houses & storefronts are elevated to prevent flooding. Walking on the sidewalk is laborious because of the many steps at intersections… only worth the trouble at the Alpargatas factory. 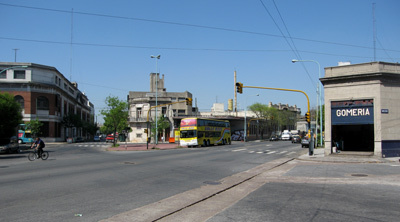 The main drag—Avenida Montes de Oca—gives Barracas a north-south orientation. Originally known as Calle Larga, it still connects the capital with the suburbs across the river. Lots of commercial & residential areas cluster around this main artery. Avenida Martín García cuts diagonally through the grid. 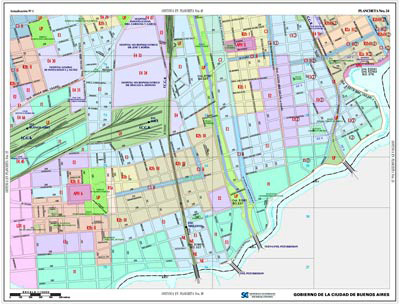 Formerly known as Camino de las Barracas & one of the first streets in the neighborhood, it was the only road which connected the tanneries, factories & warehouses of Barracas to the port in La Boca. This avenue was so important at one time that even Admiral Guillermo Brown lived along this street. Autopista 1 built during the last military dictatorship runs parallel to Avenida Montes de Oca just two blocks west & effectively slices Barracas in two. This large scar on the urban landscape continuing south from Avenida 9 de Julio will never heal since over 15 blocks were completely demolished for its construction. The elevation to second story level also disrupts the view. 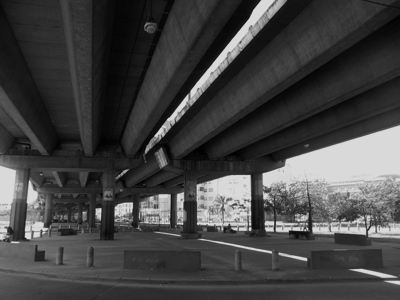 Land underneath the autopista is semi-reclaimed, with sparse use as parking, safety schools, playgrounds & some green space. However the benefits are small compared to the visual, audio & real pollution. Parallel to both Autopista 1 & Avenida Montes de Oca is the major Metropolitano train line, exiting Buenos Aires to the south. 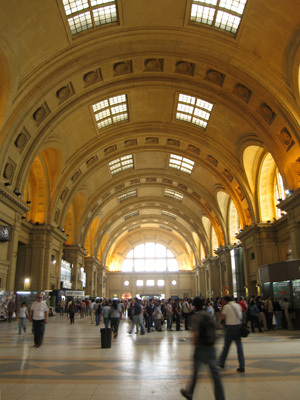 Constitución Station grandly presides over what has become an urban disaster: the plaza in front is in ruins, bus stops clog the view & the train itself has been run to ruin. But the effect of the train tracks on Barracas is less disturbing than the highway. To maintain a level track in spite of the dip toward the Riachuelo, tracks grow increasingly higher than ground level. Bridges crossing east-west streets are more than 100 years old & most of the space underneath the elevated tracks has been beautifully bricked. Formerly occupied by offices & warehouses, the train contributes an atmosphere that has been erased in most other parts of the city. 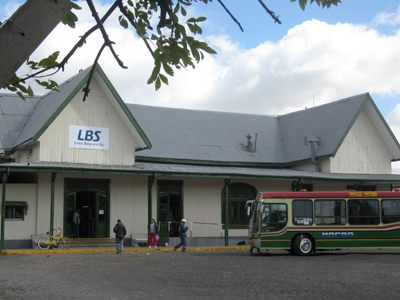 Estación Buenos Aires forms part of the Línea Belgrano Sur… easily forgotten since it doesn’t connect to any other line. Finally, the Riachuelo River marks the entire southern limit of Barracas & Buenos Aires itself. 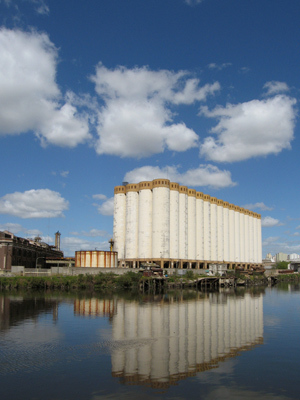 Polluted, smelly & hazhardous to the city’s health, the river’s condition resulted from placing large numbers of factories in Barracas (as well as further downstream). 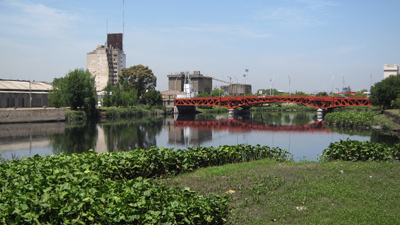 Several bridges connect Barracas to Avellaneda just across the river. 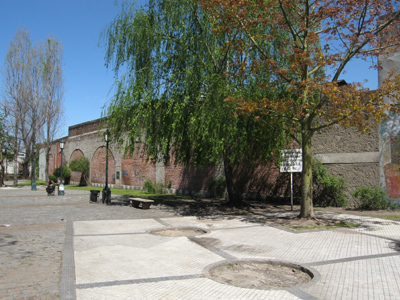 At one time, Avellaneda was a mere extension of the neighborhood named Barracas al Sud. The sight & smell of rotting ships with abadoned mills & factories in the background speak volumes about uncontrolled industrialization. Barracas has undergone many major transformations & has been divided into many different sections along the way. But understanding these divisions should help make sense of a complex barrio. 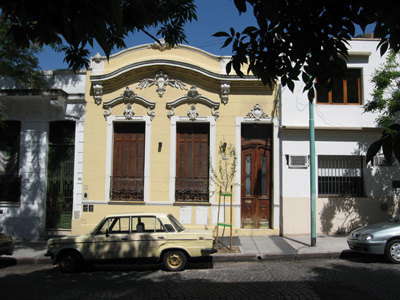 Over the next few posts, I’ll focus on various aspects of Barracas which are worth visiting. It takes some footwork but is definitely worth it. If you think tourists have a difficult time in Barracas, just think about city government officials who try to zone the area!